With all dreams and wishes of having a classic mobile imbed in the gen y mind, a dream within a dream will hit the shelves. With the techno personnel at Sprints’ coming up with something they can really be proud of. Looks like the fantasy of a dreamer is coming true. HTC Hero is likely the most highly developed piece of equipment to date. The OS or the operating system is in all probability a closest comparison to any other iPhone’s touchscreen. Its superior hardware and home screen kit and widgets, it unquestionably has an upper hand over the iPhone. 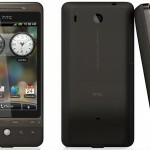 HTC and their Hero are coming out with new Android OS with speed par excellence. Not that this gimmick is needed but innovation is always a plus. Afixing their seal in Windows Mobile, HTC probably has forced a break from the Microsoft mobile OS that’s become a habit. 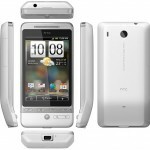 Two novel colors in the HTC Hero will hit the shelves – white and brown. The white with a particular kind of super duper Teflon coating is voted as better of the two, though it getting dirty cannot be avoided. The Teflon coating used is for what advantage should be used to tell. The brown variety is devoid of any coating, but we can’t really pass comments so very fast. No matter what color you choose, the frame surrounding the display has a very chic brushed aluminum. 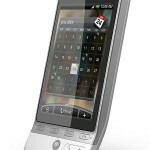 Quad-band GSM/GPRS/EDGE support 3G with HSDPA 7.2 Mbps and HSUPA 2Mbps Heavily customized OS v1.5 (Sense UI) 3.2″ capacitive touchscreen of HVGA resolution, Qualcomm MSM 7200A 528 MHz CPU, 288 MB RAM 5 megapixel autofocus camera with video recording Wi-Fi 802.11 b/g and GPS receiver, Trackball navigation Accelerometer sensor to auto-rotate and turn-to-mute Digital compass, Multi-touch zooming in gallery and web browser Standard mini USB port for charging and data Stereo Bluetooth (A2DP) microSD card slot with support for up to 8GB cards ,Standard 3.5mm audio jack, Direct access to the official Android repository and Web browser comes with Flash are all the features that it offers to its customers. In above pictures this is looking like robot.